Canadian George Doran established his publishing company in Toronto in 1908 and that same year moved it to New York City. Doran’s initial focus was serving as Hodder & Stoughton’s North American representative (H&S also owned 25% of Doran’s firm), but he soon grew into a major force in publishing, having 3,346 titles in print by 1927. That year Doran merged with Doubleday & Page, forming Doubleday Doran, the largest publisher in the world at that time. 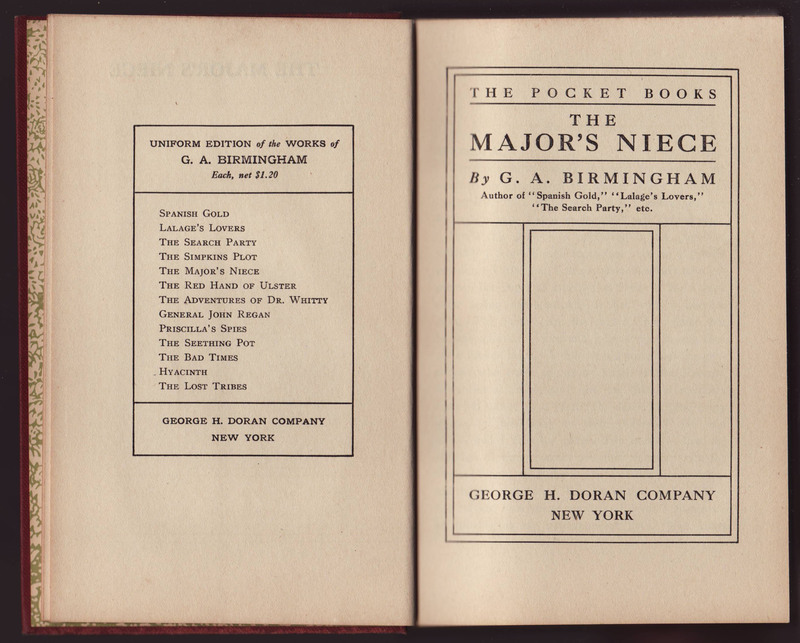 Doran’s Pocket Books series shared names with Robert F. de Graff’s Pocket Books paperback series, first issued in 1939. It is possible that the name of DeGraff’s famous paperback series was influenced by Doran’s much earlier series of the same name. De Graff had been employed by Doubleday beginning in 1922, and by 1925 he was head of reprint series for Doubleday. Under the Doubleday Doran firm, de Graff had a hand in all the publisher’s series, until he left in 1936 to establish his own Pocket Books. 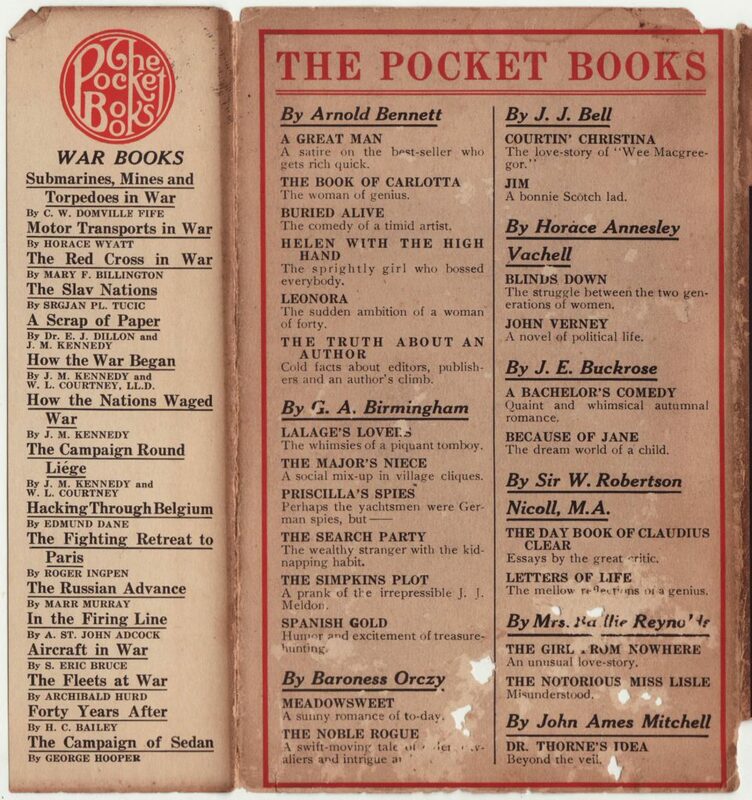 Priced at .50 cents, The Pocket Books were first published around 1913 and added titles until about 1916. Most copies are absent printing dates. A few reprints appear as late as 1926. 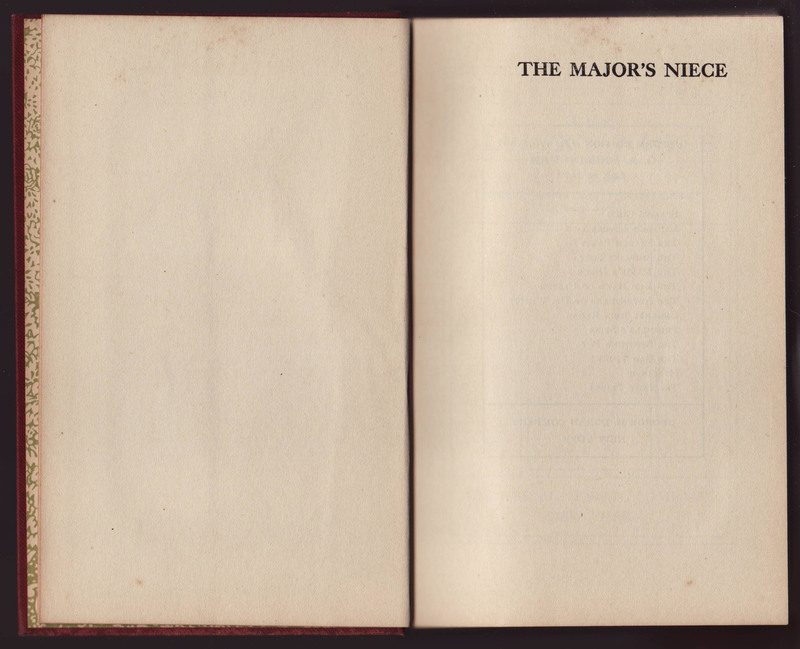 The copy, below, of George Birmingham’s The Major’s Niece was first published in 1911 by Smith and Elder and Hodder & Stoughton / Doran in the U.S. 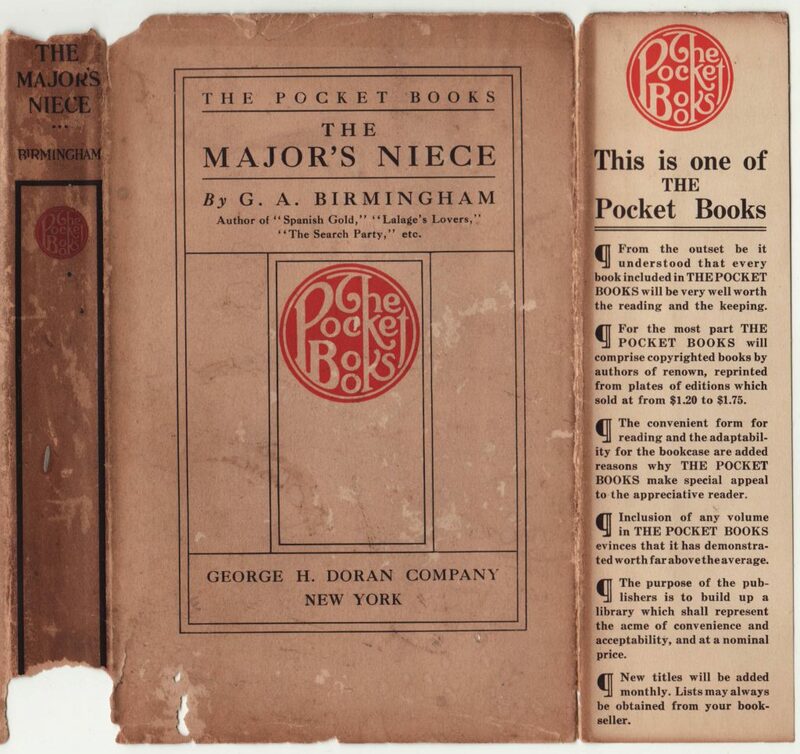 Given the 16 war-related titles in the series (advertised on the rear jacket flap) this particular book was probably published around 1915, when most of the mentions of The Pocket Books can be found in book-related literature. Jackets are common to the series, with a grid of boxes within which the individual book authors and titles are printed. The series name is included on the jacket front. The series logo on the spine, front, and front flap of the jacket. The front jacket flap contains various publisher endorsements of the series: well worth reading, copyrighted fiction at a cheap price, convenient format, easily built into a home library, and new titles added monthly. 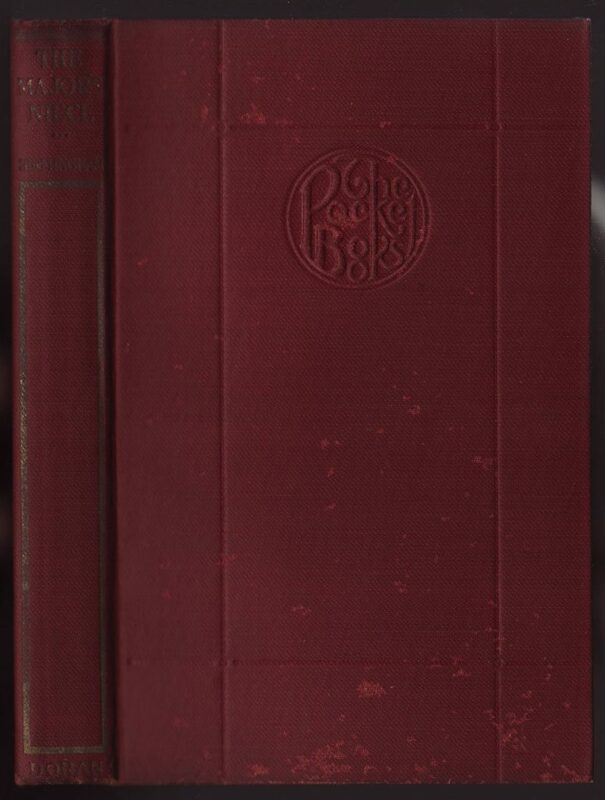 The maroon cloth binding is debossed with the series name on the front. 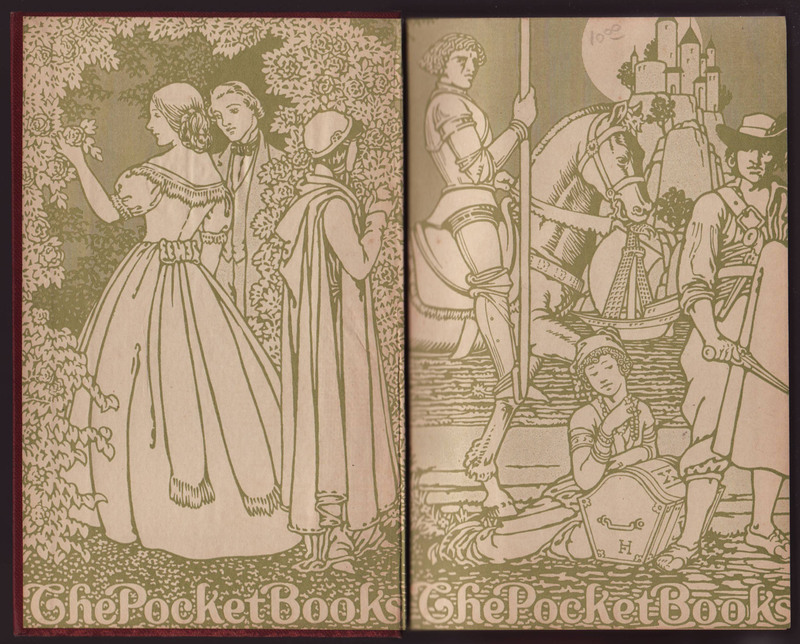 Series endpapers are in the front and rear of the book. A catalog of G.A. Birmingham’s books in a uniform edition, $1.50 each, face the title page. 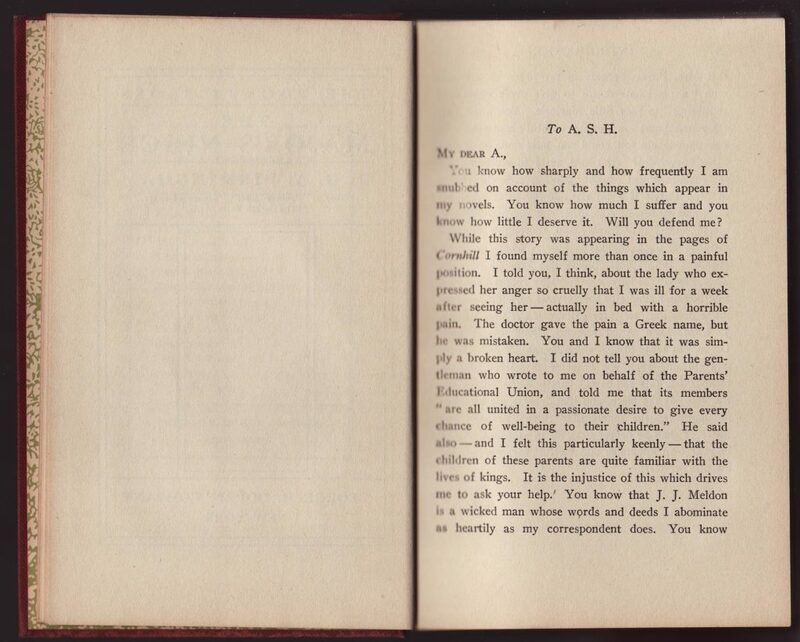 The title page indicates the series name and is designed in a manner similar to the jacket front. The copyright page is blank.